ASKALON system to support researchers worldwide in various fields of science and engineering to develop, analyse, optimize and run parallel and distributed scientific applications. 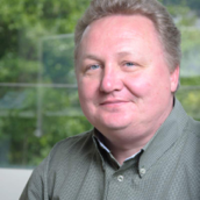 Furthermore, he leads a research team that created the Insieme parallelizing and optimizing compiler for heterogeneous multicore parallel computers. He is currently coordinating EU-H2020 Fethpc project ALLSCALE: An Exascale Programming, Multi-objective Optimisation and Resilience Management Environment Based on Nested Recursive Parallelism. Fahringer was involved in numerous national and international research projects including 15 EU funded projects. Fahringer has published 5 books, 40 journal and magazine articles and more than 200 reviewed conference papers including 4 best/distinguished IEEE/ACM papers. The Power of Losing Control – When does a re-implementation of mature simulation fragments with HPC DSLs pay off?